Recouperate from the stress of every day life in the "Haus Mariandl"*** with a view of th bavarian mountains, gliders, hang gliders in summer or the dreamy winter wonderland. 73 sqm. shall give you lots of living space, a living room with typical bavarian dining area, convertible couch, south west balcony and TV await you. A modern Kitchen waits for you, where if you wish you can prepare breakfast and meals. The marble bathroom lends itself for a total relaxation in luxurious atomosphere, for those who need quick refreshment, there is a shower( in the bathtub) with full view of the mountains. A cosy bedroom garanties a relaxing sleep. The 2 room appartment is furnished in bavarian style. You will find it in House 1 of the "Haus Mariandl" complex. For you comfort a small wellness spa with sauna, fitness, and cosmetic galvanic spa treatments are offered in house for guests only. 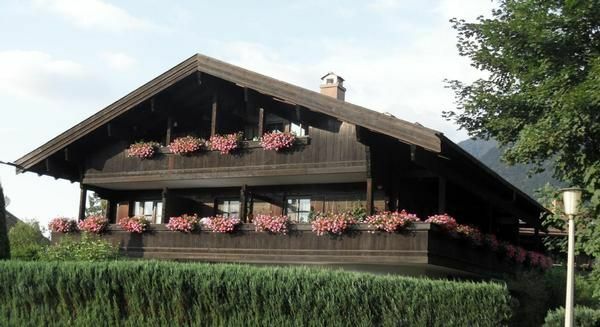 Rooms for skiis, bicycles,laundry and in door and out door carparking facilities are also available. Tolle FeWo, sehr gemütlich, wir kommen wieder! Fewo ist sehr gemütlich und mit allem ausgestattet, man vermisst nichts! Von hier lässt sich das Dorf und die Loipe sehr gut erreichen.Schlafzimmer ist sehr ruhig. Vielen Dank, wir hatten eine wunderbare Zeit!! Komfortable und schöne Unterkunft mit netten Gastgebern. Saunabereich ist ideal, um nach anstrengenden Touren zu relaxen. Intermediate cleaning (once per object, Costs amounting to 20 EUR). Parking facilities (per property and day, included in price 0 EUR).